On the Maricopa High School campus this year, students have had a resource for supplies and clothes when asking for help might otherwise be awkward. CopaCloset opened in September. It is supported by donations from the community. 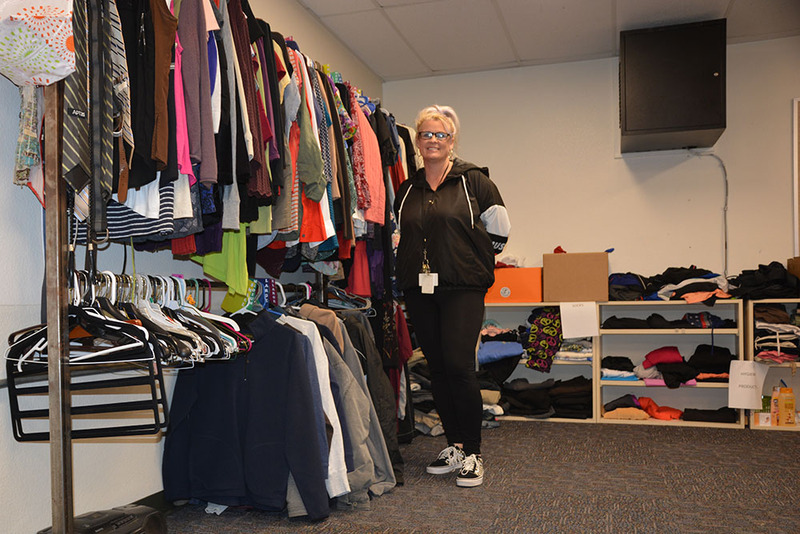 MHS counselor Amber Liermann operates CopaCloset with volunteers, distributing donations of clothes, shoes, hygiene products, food, jackets and school supplies to any student or teacher in need. “If we have a kid coming to school in the winter without a jacket, because they don’t own one, they can come in here, and we’ll let them pick one out, and its free,” Liermann said. CopaCloset averages 20 students per week. 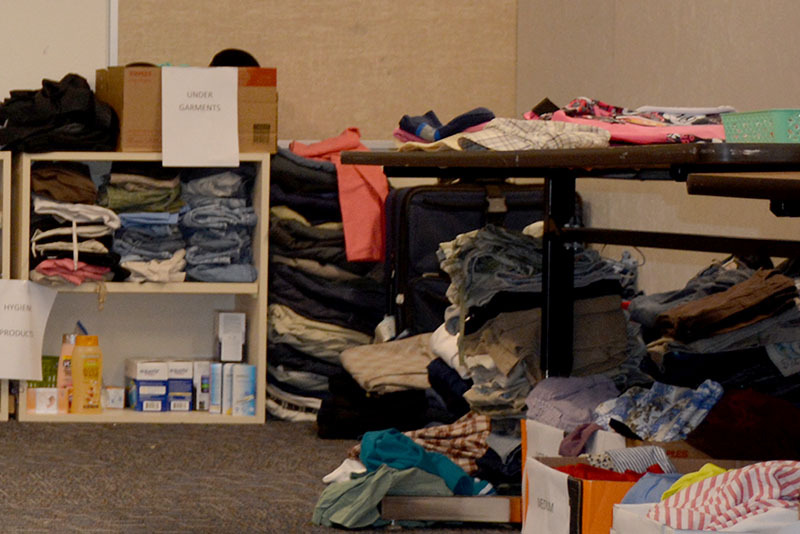 Some students who have been helped in the past have returned to volunteer or even donate items. “A school parent volunteer, Karen Fortunato started volunteering in February and has been a huge help,” Liermann said. She said the high school will get calls from middle schools and elementary schools in the district asking after specific items for their students, too, and CopaCloset supplies what it can. CopaCloset is in a small space in the west end of a mid-campus building. Shoes, tops and jackets line one wall, when they are in supply. 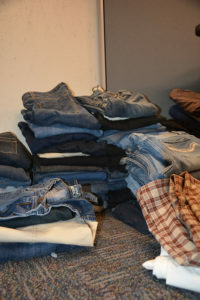 Jeans and other clothes are stacked at the back. School supplies and nonperishable food items are distributed on tables. But not everything is always available. Students tend to go through jackets quickly. Food and supplies don’t sit around long, either. Sometimes families are going through a private economic crisis while others have long-term financial issues. That includes families of teachers. Liermann said they are all welcome to see how CopaCloset can help. Lt. Col. Allen Kirksey (ret.) of the MHS Air Force Junior ROTC said his cadets have made CopaCloset one of its projects this year. “It’s a great, great program,” he said. For more information about CopaCloset or to learn how to donate, call MHS at 520-568-8100.